The United Breweries Group, which controls debt-ridden Kingfisher Airlines Ltd, said on Thursday that it has approached the Supreme Court on the summons issued to the airline by the Special Court for Economic Offences earlier in the day. 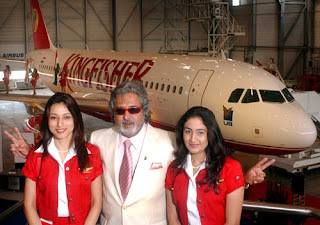 The court had issued the summons to Kingfisher head Vijay Mallya on a complaint from the Income-Tax (I-T) Department on Tuesday that the company had not remitted Rs 74.94 crore which it deducted as tax deducted at source in 2009-10 from employee salaries. The I-T department also slapped on interest of Rs 23.70 crore on the airline for not meeting its deadline for payment. Top private sector lender ICICI Bank has decided to discontinue its co-branded credit card with Kingfisher Airlines in the wake of continued grounding of the debt-laden air carrier. “ICICI Bank and Kingfisher Airlines co-brand credit card programme has been discontinued due to discontinuation of Kingfisher Airlines services,” the bank said in a communication to its customers. “As a result, the ICICI Bank Kingfisher Airlines credit card will be valid till March 31, 2013,” it said, while asking the card users to opt for another credit card from the bank. The bank further said it will issue an ‘ICICI Bank Platinum Visa Credit Card’ to the users of ICICI-Kingfisher card without any annual fees from March 15 onwards with same interest rate and credit limit as that on the existing card. Global Aviation Recession is few of defunc Airlines only. Kingfisher Airlines Ltd.'s (532747.BY) lenders plan to soon start a process to sell 5 billion rupees ($93 million) worth of shares deposited by parent UB Group as collateral against loans. In the first of several planned moves likely to cause severe financial strain across the UB conglomerate, the lenders will sell shares in group companies Mangalore Chemicals and Fertilizers Ltd. (530011.BY) and United Spirits Ltd. (532432.BY), said a senior State Bank of India (500112.BY) executive. "Kingfisher had told us to wait as there was some money coming from the Diageo deal. That hasn't happened," Shyamal Acharya, deputy managing director at SBI, told The Wall Street Journal. He was referring to a United Spirits plan to sell a 53.4% stake to British liquor company Diageo PLC (DGE.LN) for up to $2 billion. 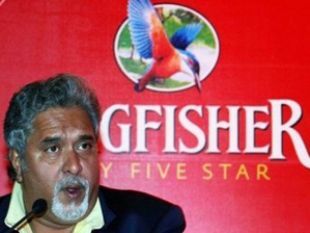 Part of the proceeds were expected to come to Kingfisher, but the deal hasn't come through yet. What are the requirements to become a Mystery Shopper? We use your Google Analytics data to provide advertisers with accurate tools for segmentation. Maintain a good mix of sponsored and non-sponsored content. Find your niche. Pick a theme and stick to it. I ride upon it's wrath.